Our Youth Leadership Teams gives youth the opportunity to learn how to be members of and contribute to a highly functioning team and be leaders for change in their communities. If you are interested in (or there are youth you believe would benefit from) being on one of our teams, you are invited to apply or nominate a youth! 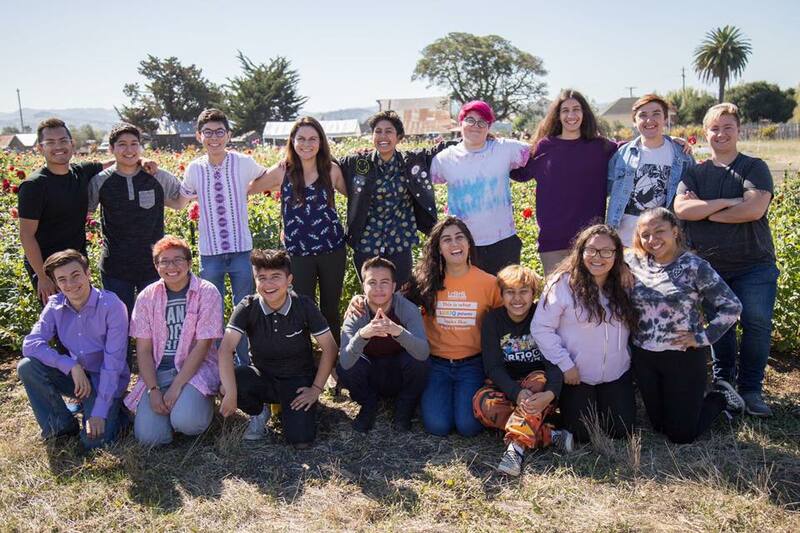 The YLT is a team of LGBTQ (lesbian, gay, bisexual, transgender, and queer) youth that create events and advocate for change in partnership with LGBTQ Connection. YLT gives youth the opportunity to learn how to be a part of a team and be community leaders. If you know a youth that would benefit from being on this team, nominate them. If you're a youth, apply yourself! Teams re-launch each semester (January and August). The teams meet once a week for 5 intensive months. That intensity is what we’ve found that it takes to come together as a team and organize impactful youth projects and events for our community. These projects bring people together across generations and cultures to build a stronger, more vibrant, and more inclusive LGBTQ community. For the next cycle, participants will need to commit to the dates outlined in the interest application (follow the link at the bottom of this page) . If there is a schedule conflict, contact the program coordinator in person, or phone or email to determine if YLT is right for you. Any changes made to the dates listed will agreed upon with the full youth leadership team members during regular meetings. There is limited space on each team. Secure a spot on the team & RSVP via the interest application below. Those that fill out the interest form or contact the county program coordinators will be notified about next steps in the process. We cannot wait for you to join us! Youth who are interested in joining one of our teams should fill out the youth leadership team interest APPLICATION here.